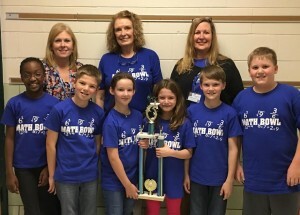 The winning team: (L-R) Sydney Edmond (alternate), Charlie Underhill, Emily Grant, Ella-Harman, Graham Whittle, and Redding Shealy, and their coaches: Mrs. Pope, Mrs. Calkins, and Mrs. Jenkinson. Announcement from Frieda Bingham, Ed.D. Teams from Springdale Elementary, Pineview Elementary, and Herbert A. 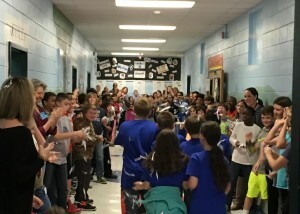 Wood Elementary, on Feb. 3, competed in the annual Lexington District Two Fourth Grade Math “Super Bowl.” During the competition, the teams used their Samsung Tablets to collaboratively respond in two rounds of extended-response questions based on fourth grade math standards. The team of “Mathletes” from Springdale Elementary collaboratively earned the 2016 Math Bowl Championship. This year, in an effort to use the new Samsung tablets rolling out to all Lexington Two students as tools for collaboration and more in-depth thinking, we used new technology to enhance the competition. The students had a set length of time to work out the problems on the Samsung Note 10.1 2014 Edition using the stylus. There was no benefit to being the first group finished, so students felt no need to rush through the math and were able to approach problems from a more analytical and thorough approach. The students were also required to write out a brief explanation of their thinking in addition to the computation. When students had one minute left, they showed each other their screens and selected the student’s work they thought best solved the problem to submit to the judges. Using the Samsung School program, the judges were able to see all students’ work unfold in real-time as they completed the problem. Once the team starred the tablet they wished to submit, the judges scored the work using a provided rubric. At any time, the judges could zoom in on a particular student’s work for a better look at how they were attacking the problem. As an added component, and in an attempt to make the competition more engaging for the audience, a large screen displayed the student work as it unfolded as well. The projector wirelessly rotated through each team’s work, all out of sight of the competitors, but in view of the rest of those in attendance. This gave students and parents in the audience the opportunity to look at various problem-solving approaches and compare it to their own thinking. We look forward to continue to incorporate the Samsung tablets into classroom instruction so teachers have the same benefit of watching students work out problems in real-time and offering immediate feedback and targeted assistance. Teachers will also be able to project a student’s work to the other students in the class to give individuals the opportunity to explain their thinking while the other students see it live on their screens. 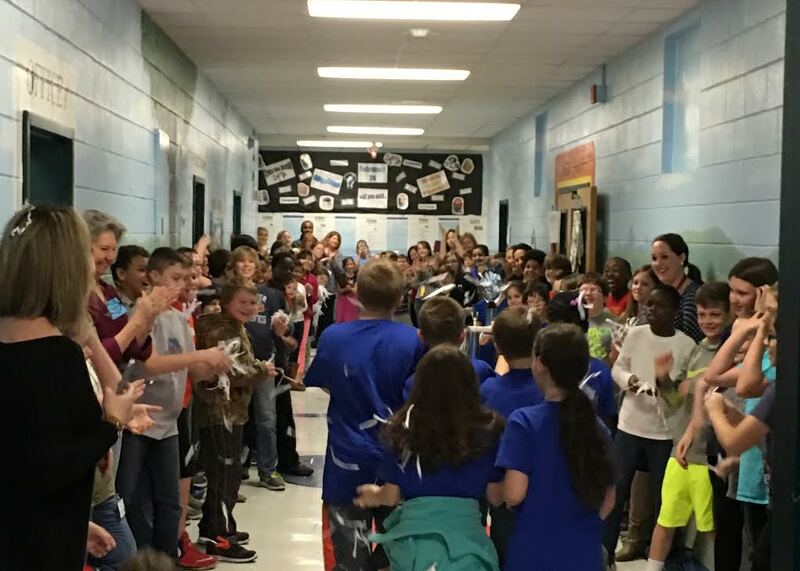 Wood Elementary: Nicole Broughton, Hannah Davis, Gisele Hairston, Juelle Hairston, Brenden McMillan, and Tyler Woodward.